Love to play basketball? 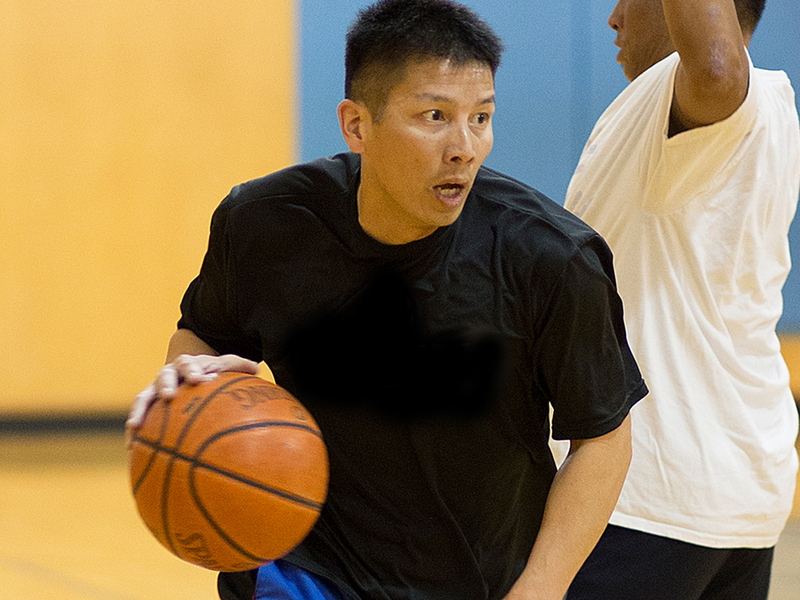 Then sign up for JCCCNC’s Monday Night Basketball League. Participate in games that are competitive, but friendly! Teams are determined by a draft. In order to be eligible for the draft, please send your completed registration form with your payment. Players will be entered into the draft on a first come, first served basis, with JCCCNC members having priority. There are up to 8 teams with 8 players per team. 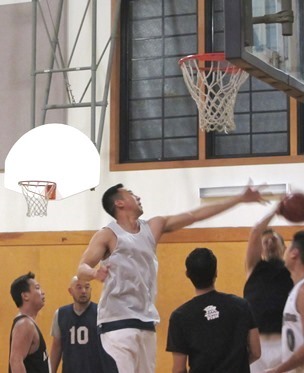 Members will receive an email six (6) weeks prior to the start of the next league and will be able to register one week before registration opens to non-members. If anyone would like to become a member during the first week when we accept members only, you are more than welcome to do so in order to sign up in advance of non-members. Non-members will be available to register five (5) weeks prior to the start of the league. Form will be posted online for non-members to sign-up. We will post when sign-ups are closed. Forms will only be accepted WITH PAYMENT. Members receive an email one week prior to general public as a member benefit. We DO NOT hold spaces for members. It's on a first come, first serve basis. Looking for a fun, comfortable place to play ball? Join this league to meet new friends and participate in games that are competitive, but friendly! Teams are determined by draft. In order to be eligible for the draft, please send in a completed registration form along with your payment. Players will be entered into the draft on a first come, first served basis, with JCCCNC members having priority. Members will receive an email eight weeks prior to the start of the next league and will be able to register one week before registration opens to non-members. If anyone would like to become a member during the first week when we accept members only, they are more than welcome to do so in order to sign up in advance of non-members. General public will be available to register seven weeks prior to the start of the league. Form will be posted online for general public to sign up. Members will receive an email one week prior to general public as a member benefit. We DO NOT hold spaces for members. It's on a first come, first serve basis. June 15, 6:00 p.m. - 8:00 p.m.
June 22, 4:00 p.m. - 6:00 p.m.
June 29, 1:00 p.m. - 3:00 p.m.
July 6, 1:00 p.m. - 3:00 p.m. 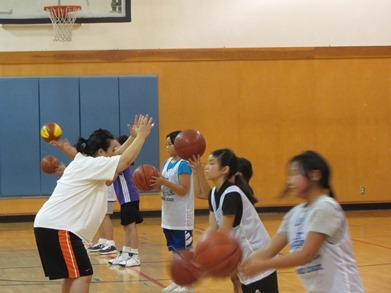 The San Francisco Associates and the JCCCNC are hosting a boys summer basketball league and girls clinics/summer league for current members and interested youth. All teams will be coached by volunteer coaches and ALL participants will receive a reversible jersey. Teams play eight games, no practices; game schedules and team formations will be determined. Girls will begin each week with a clinic run by all female volunteer coaches and will then be split into teams to play games. 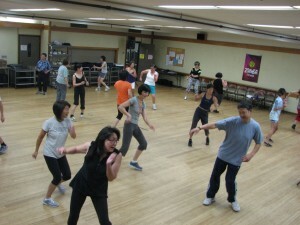 Tuesday, 7:00 p.m.- 10:00 p.m. Create a team for your non-profit/service/interest organization and join us for the upcoming season. 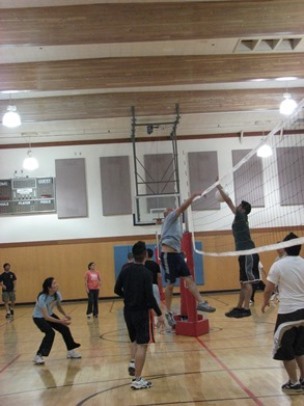 Each Tuesday night is filled with fun, food, friendship and volleyball! Each team must consist of either board/staff members and volunteers.